I know that this is quite a late review for an album that’s released more than two months ago but since it was released on my birthday and how much of a big Muse fan I was back in my school days, I just felt that I have to review it. I wasn’t very impressed with the first few songs that they officially released on YouTube, but after listening to the entire album, I thought this isn’t that bad, definitely not their worst. It does have a bit of everything that the band have offered before. Instead of producing the album by themselves again, they decided to get record producer Robert John “Mutt” Lange on board, who’s worked with big names such as AC/DC, Def Leppard, Michael Bolton, Bryan Adams, just to name a few. As the title and cover of the album suggests, politics and war are the main themes once again, particularly on oppression, brainwash and military. Now that they’re rich and famous with a Grammy Award that they surprisingly won with Resistance (2009), they continue to try to have a stronger purpose through their music and encourage the people stand up against all that they feel is wrong. Whatever it is, I’m just glad that their dubstep and experimental phase from The 2nd Law (2012) is over. The album kicks off with a song that has a funky beat that tells about someone who’s “ablaze and alive on the outside” but Dead Inside, setting up for the cheesiest and laziest track on the album — Psycho — which recycles an old hook that they were using as a post-song jam at most their gigs for more than 10 years, and a complete waste vulgarity. It goes into talking about how the protagonist, perhaps, is abused in the brutal military camp and begs for Mercy in the next song through Bellamy’s falsetto choruses. The lyrics may sound cheesy as ever and may not sound fitting to the parts of the songs, but Matthew Bellamy sings them with conviction as he always does and conveys his messages as clearly as possible and to hopefully get his fans and the oppressed people to easily sing along in agreement. Unfortunately, as Bellamy’s melodic and emotional vocals are, I can’t feel the level of anger that’s essential for the subject. From Revolt onwards, which is like the final act of typical storyline, it’s all about encouragement and unity again like on Resistance — “you can grow, you can make this world to what you want…” Yawn… The 10-minute tearjerker, The Globalist, is one that most people wouldn’t put on their playlist. It’s another lazy one, I feel, as it’s like three-part song with a combination that’s almost identical in parts as generic Vietnam war songs, Assassin (from Blackholes and Revelations) and United States of Eurasia (from Resistance). Lastly, the titular track at the end is just laughable despite the good attempt of gospel choral. Knowing the band, they probably did it for fun and see if the fans would hate it. In overall, hits and misses once again from the trio. I’m sorry that I have to say this again but they are still far away from being as politically powerful in music as Rage Against the Machine once were, or still are, even though they haven’t really been active for years. 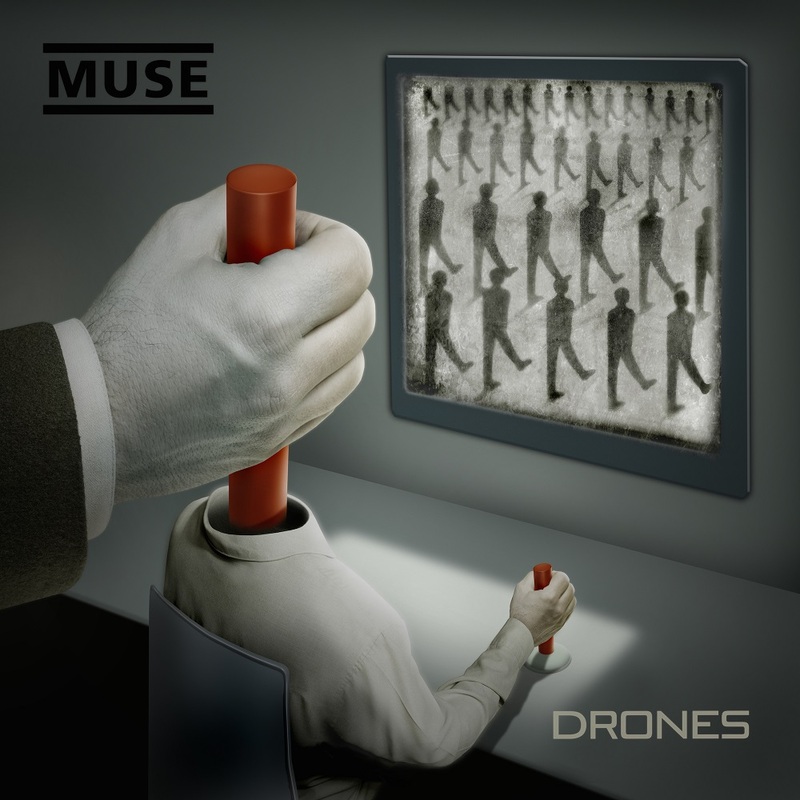 I’m not saying that Muse should go become activists like Rage or change their genre and style, but I think it’s perhaps time to pick less common current issues to write about, or move on and further explore the space rock genre, which they showed a lot of potential in some of their older albums. Another one of these so-so political albums is starting to bore long-time fans such as myself.